The Korkers DarkHorse Wading Boot strikes the perfect balance between weight and durability. 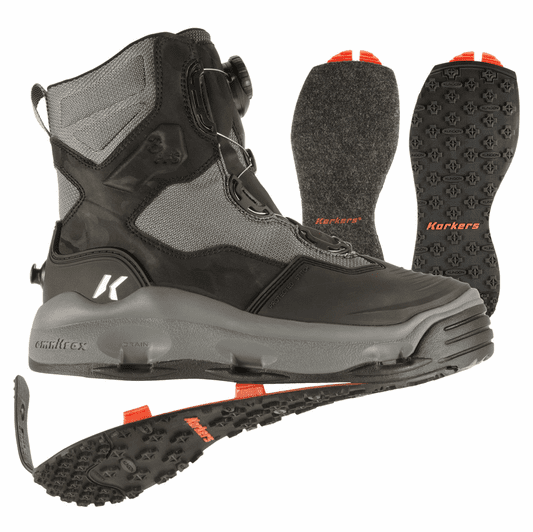 The Korkers DarkHorse Boot is an all-around winner: Lightweight, comfortable, and durable. What more could you ask for? It weighs less than 3 pounds, it has Achilles and heel stability for added comfort and function, and it is constructed intelligently by utilizing low profile and durable components to make it last season after season. 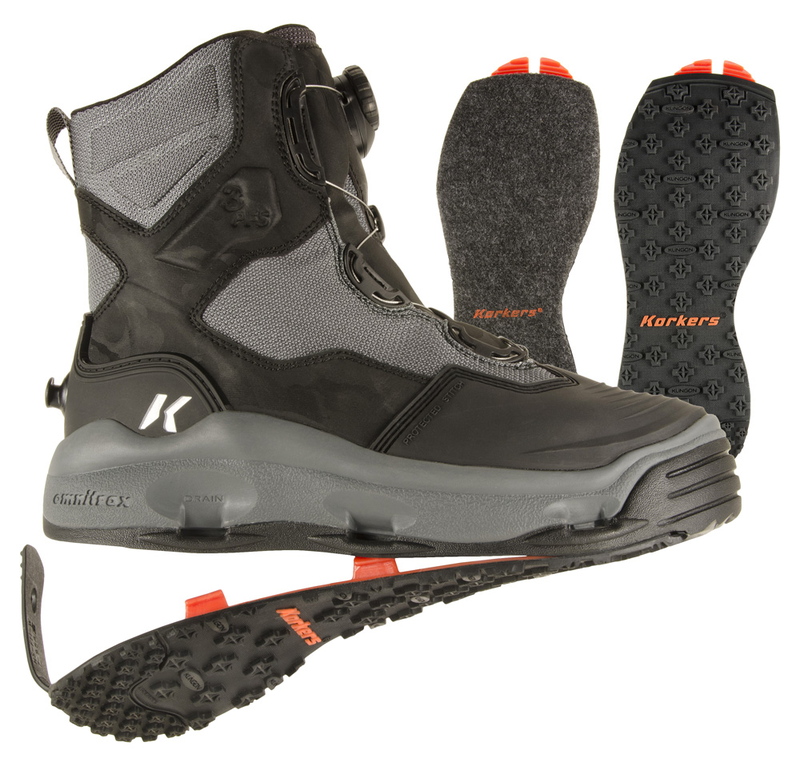 The Korkers DarkHorse Boot is a fast drying boot because it is constructed with hydrophobic upper materials. This boot is incredibly durable as well: it has outer abrasion resistant materials, a molded TPU toe cap for added protection against any obstacles Mother Nature throws your way. It also has protected stitching for prolonged thread life. We have had very, very few problems with the BOA system over the last 5 years. It is trusty and durable and is constructed with steel laces. When water enters the boot, it flows out of midsole ports, which reduces the weight you carry with you into and out of the water. When dry, this boot weighs 2lbs 15 ounces.